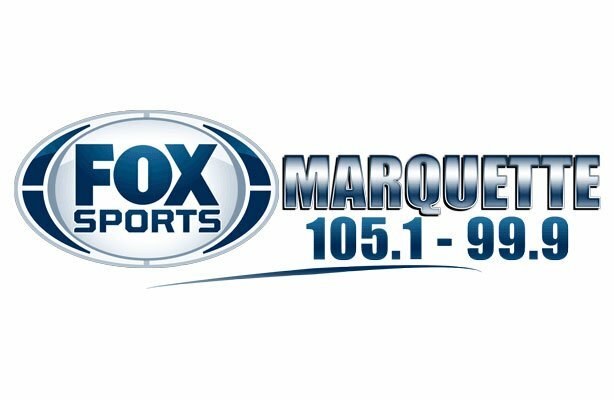 Marquette, MI – January 25, 2018 – The Marquette Redmen hockey team fell to the Kingsford Flivvers 4-3 in overtime on Thursday night, in a game that was broadcast live on Fox Sports Marquette 105.1-99.9 and 103 FXD, and online at foxsportsmarquette.com. 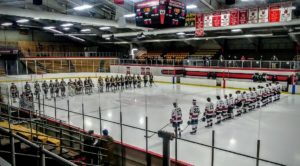 The Redmen, who had lost their previous game against the Traverse City West Titans, dropped their second contest in a row against the Flivvers. 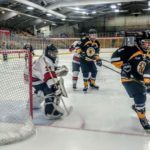 Marquette wasted no time in the first period, opening the game’s scoring when Gaetanno Cammarata poked a rebound past the Kingsford goaltender. The Redmen continued to create offensive opportunities, putting shot after shot on the Kingsford goal. 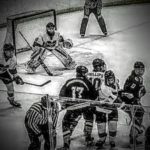 The Flivvers, however, were the next to find the back of the net when Daunte Fortner beat Marquette goaltender Tyler Bergwall with just over four minutes left in the period. After one period of play, the score was knotted at one goal apiece. 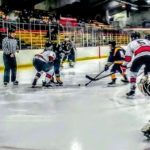 Kingsford took the lead with 10:00 to play in the second period, when Daunte Fortner scored his second of the night on a delayed Marquette penalty. 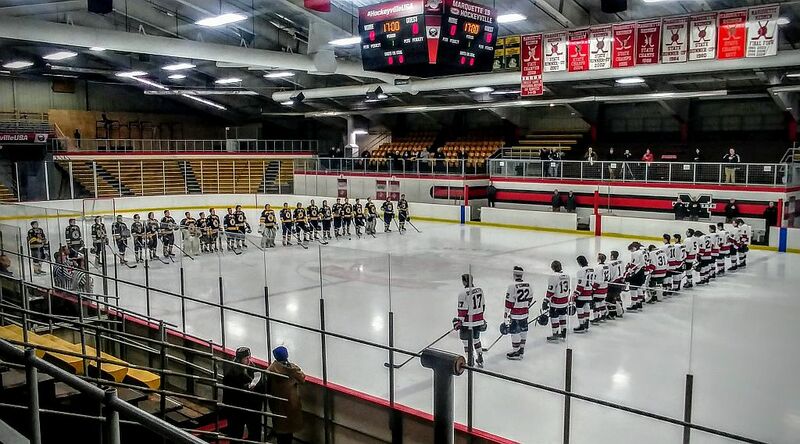 Under a minute later, Kingsford’s Eamonn Weed was given a major penalty and ejected from the game for a hit from behind on Marquette’s Rory O’Connor. 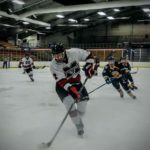 The Redmen took advantage of the powerplay, scoring in the first minute of their man-advantage when Tanner Phillips scored to tie the game 2-2. 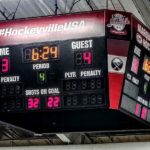 This goal didn’t mark the end of the powerplay, since a five minute penalty must be served in full, and Marquette generated several more opportunities before the Flivvers got back to full strength. After two periods, the teams were even with 2 goals each. 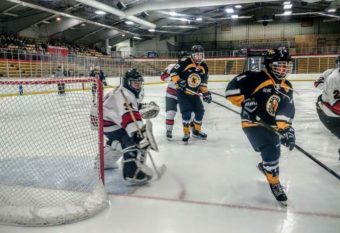 The third period saw Marquette regain the lead in practically no time at all when Nick Leafers scored at the 2:04 mark to put the Redmen back up 3-2. Kingsford equalized with just over ten minutes to play in regulation on a powerplay goal by Daunte Fortner, who secured a hat-trick with the marker. The rest of the period passed without further scoring, and the teams headed to overtime tied 3-3. 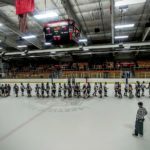 The extra period didn’t last long, because Kingsford’s Pete Ropiak put an end to the contest at the 1:36 mark by putting the puck past Tyler Bergwall and giving the Kingsford Flivvers the 4-3 overtime victory. 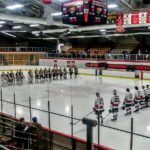 The Marquette Redmen will next take the ice on Thursday, February 8, when they head downstate to take on Livonia Churchill. 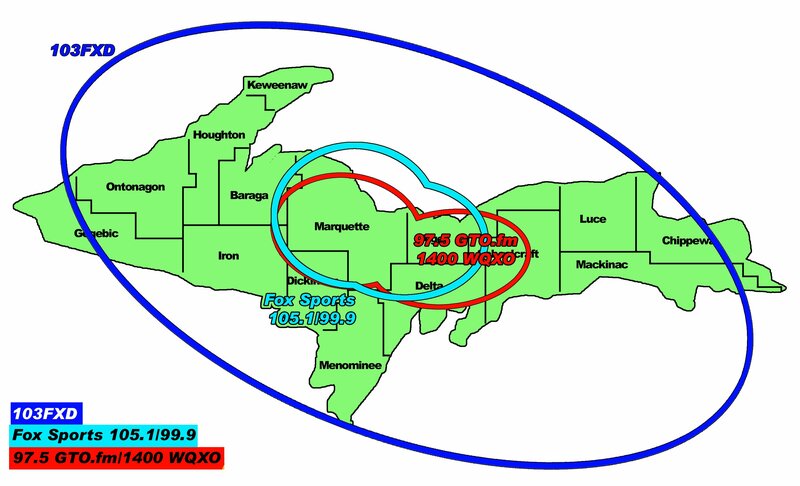 The puck will drop on that game at 6:00 P.M., and you can catch all the action on 97.5 GTO and online at gto.fm.